Lawrence & Cohen enjoyed the services of Owen Jones who had designed many beautiful back designs for De La Rue. This Ace of Spades, c.1865, closely resembles that of De la Rue but it was soon modified by the substitution of an eagle for the crown at the top. 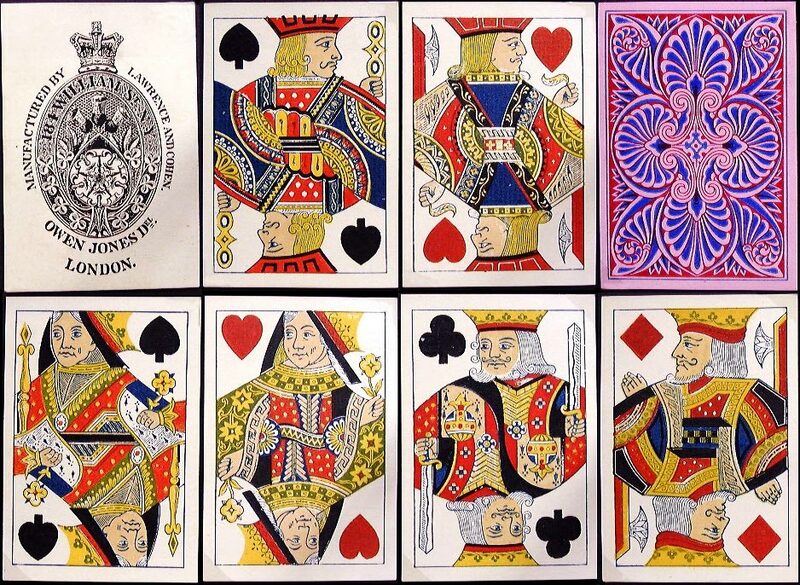 Above: Lawrence & Cohen standard double-ended playing cards printed from De la Rue plates, c.1865. The courts are identical to those used in DLR's own cards.